President Rodrigo Duterte has had a very tense relationship with the media ever since he took over Malacañang in 2016. Oftentimes, the exchanges between him and the reporters who are covering his administration become front page news. On Wednesday, Mr. Duterte once again faced the media as he attended the 113th anniversary celebration of the Bureau of Internal Revenue in Quezon City. 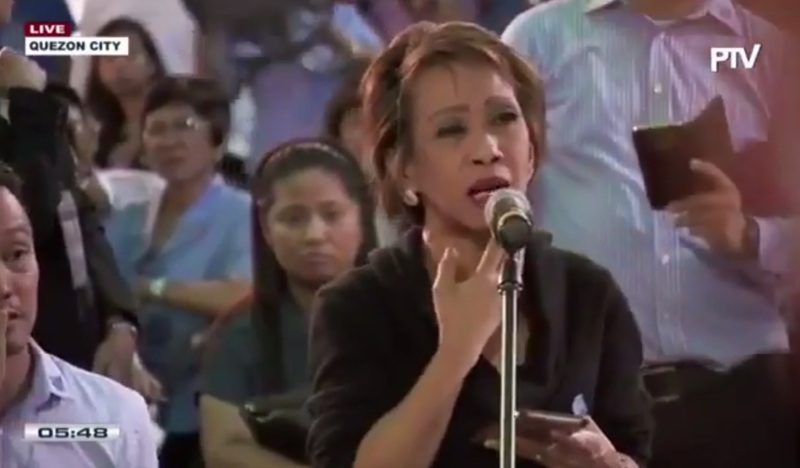 ABS-CBN News reporter Doris Bigornia, who was among those covering the event, took the opportunity to ask the President about the Parojinog case. "Sir, dun sa Parojinog case, jina-justify niyo po ba 'yung sinasabi ng iba na overkill, masyadong OA 'yung ginawang operations?" Bigornia asked. "The police and the military should make sure that their enemies are dead. Otherwise, the other guy can still pull the trigger, you will end up with a dead police or a dead military soldier," the President answered. "Bakit ko gusto 'yan eh ako 'yung commander-in-chief of all the armed forces. Remember that — commander-in-chief of all the armed forces in the Philippines." Asked if more will suffer a similar fate as that of Ozamiz City Mayor Reynaldo Parojinog, Sr. — who was killed in a police operation on July 30 — Bigornia asked the President directly, "Sir, 'yung doon sa Parojinog case, mayroon pa po bang susunod na mga mayors involved in illegal drugs na ganyan din ang mangyayari?" "I will make it public. One time I called for all of them. Sa kanila... hindi ko kayo niyaya. I barred the media. Three batches [ito]. Sinabi ko talaga sa kanila, 'Do not do it. Do not do it because my order is to destroy the organizations.' Hindi naman ito basta you pick one enemy at a time — you are up against organization. Parojinog has been there and you can ask the ordinary citizen of Ozamiz. Tanungin mo sila kung ilan ang pulis [na] namatay doon na hindi sumunod," said the President. "I said my order hindi itong droga, Doris. It's all over, every day may nahuhuli. It is really ran by organization," he continued. "And so my order to the military and the police and rightly so, to destroy the organization, both the supplier, the users and everybody connected with the organization, because they keep alive the trade. Sabi ko dito ayaw kong mapahiya. I declared war against drugs. Wag mo akong hiyain kasi hindi ako nakakatanggap ng kahiyaan." Bigornia, who has been covering Mr. Duterte since the campaign season, pressed further and asked him, "Sir, kailan ho uli may matutumba na mayor?" Duterte scoffed at her pointed question. "Depende na lang sa intriga mo kung saan ang mas marami," the President said.